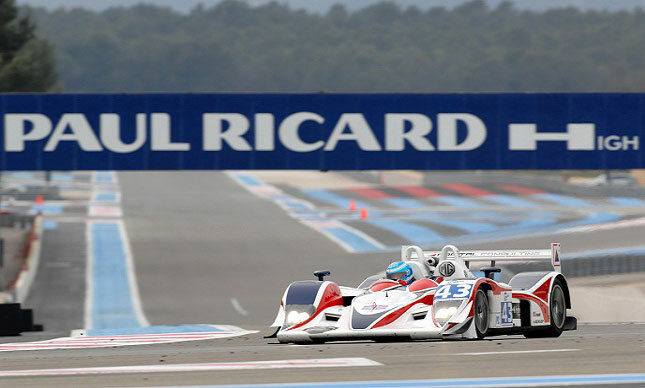 Having concluded an extensive pre-season testing programme at the Paul Ricard circuit at the weekend, Team RLR is now prepared to establish itself as a regular contender in the LMP2 class of the Le Mans Series in 2011. A successful trip to the south of France for the Le Mans Series Official Test once again demonstrated the MG Lola EX265's reliability, and improved pace, plus provided all three drivers with valuable seat time ahead of the championship opener at the same venue on April 1-3. It will be the Lancashire-based squad's first full season in the prestigious endurance racing championship. The final two rounds of 2010 were contested as a toe-in-the-water exercise to gain experience, however now armed with a new Judd engine and having clocked up thousands of test kilometres at all the major circuits on this year's calendar, Team RLR is hoping to prove a real thorn in the side of some of the more established competitors in the field. Barry Gates, Rob Garofall and Simon Phillips will take the wheel of the MG Lola EX265 at all five rounds of the Le Mans Series in 2011 - including Le Castellet (France), Spa Francorchamps (Belgium), Imola (Italy), Silverstone (Great Britain) and Estoril (Portugal). With Team Principal Nick Reynolds and his pit crew having meticulously prepared the car for action over the winter the squad is aiming to deliver consistent results and regularly challenge for honours in the LMP2 class. At the same time Team RLR is building towards its long-term future in endurance racing by running a driver development scheme to provide a ladder of opportunity for up-and-coming sports car drivers - that could lead all the way to the Le Mans 24 Hour Race. The team has entered two Ligier JS49 Sports Prototypes in the 2011 SPEED Euroseries, which will act as a support series on the LMS calendar, visiting all five locations – Paul Ricard, Spa, Imola, Silverstone and Estoril – in addition to a stand-alone race weekend at Donington. Bolton-based RLR Msport - who run the Team RLR MG Lola EX265 - will use the SPEED Series to enable drivers who show sufficient potential to earn an opportunity to test their LMP2 car at the end of the season. It is an ambitious but targeted plan to develop the team towards the ultimate goal of a successful entry at the world famous 24 Hours of Le Mans in future seasons. "We're in good shape. Despite being slightly frustrated by the weather during some of our testing we've moved on considerably as an overall package since last year. Our setup development has gone well. The car is more driveable, and the drivers are more confident in both it and themselves with the experience they have built up. I don't think this circuit will suit the car as much as the others on the calendar, so it may not be until the following rounds we can show our true pace. However, we are looking forward to the season starting for sure and I'm confident we will perform well." “I think everyone has done a good job this weekend and over the close season. We have moved forward with the setup of the car and the whole team has come on leaps and bounds compared to last year. The two events we did last year were always intended to be a learning curve for us, and since then we have tried to make steady progress in everything we've been working on. Now we are ready to go out and be competitive. I can't wait for the season to start." “I'm very much looking forward to competing in the full Le Mans Series campaign this year. We've done a lot of testing in the close season and the car has been very reliable. It was really good to top that off by doing a lot of laps at Paul Ricard and getting comfortable in the car ahead of the first race here in a few weeks. We also now know where are against our competitors, so it's been very useful. I can't wait to take what we've learned into the first race now and to see what we can achieve." "I think we are in a good place ahead of the new season beginning. The purpose of the weekend for me was to get back in the car following the winter break and acclimatise myself with it and the track, and I hit my target in terms of where my pace should be relative to others with more experience. Having been together as a squad since the end of last season we work very well as a unit now. We're all aiming towards a common goal and that really helps tremendously in terms of motivation and the atmosphere in the garage. We have put in a lot of effort to be as prepared as we can be, and I'm excited about driving in all of the races in the championship this year." For high resolution images from the test, visit the Paul Ricard Test Gallery. Click here to see timesheets from the Official Le Mans Series Test at Paul Ricard. You can also follow Team RLR on Facebook, Twitter and YouTube.